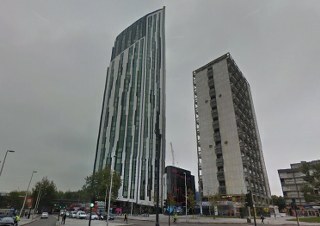 Are you relocating to Elephant and Castle, SE1? Do you need a company to help you move? At Moving Service our staff are highly trained professionals who can offer you a tailor - made service to fit your requirements. Whether you’re moving your furniture from a 5 bedroom house or a 1 bedroom apartment, we have moving vehicles to suit all your needs. Our team of hard working movers are expert handlers and can assist you in packaging up your rooms and moving then into our vans. Our moving vehicles are fully equipped with everything from straps and covers to blankets to ensure that your possessions remain safe whilst being moved to your new home. If assistance with packing is what you require, we can offer that, too. Depending on the amount of things that need packaging, we will make an assessment and assign you a group of our hard working crew members, who will pack up your rooms in next to no time, preparing you for the next stage of the moving process. To receive some hints and tips and to find out more about our removals services in Elephant and Castle, give us a call on 020 8746 4402 for some expert advice. The area falls under the London Borough of Southwark. Situated in South East London, its postcode districts are SE1 and SE11. The area get its name primarily from the roundabouts and rings roads in the area, and is a group of major traffic junctions, which can provide you with a number of routes to the rest of the city. Elephant and Castle tube station can provide you with fantastic links to the rest of London and is well served by the Northern line and the Bakerloo line which can get you to the West End and into the city in less than 15 minutes. However, the area is much more than just a mesh of roads and major junctions. It has recently been regenerated and now boasts of some truly modern houses amongst some old Victorian terraces. The area is now booming, and has started to attract a lot of people with its range of restaurants, traditional English pubs and shopping areas. For families with young kids, the area’s schooling rates among some of the best in the country with Michael Faraday Primary School and St Saviour’s and St Olave’s CofE secondary schools rated as outstanding. Since you have decided to move to Elephant and Castle, SE1 let us help make the process easier for you. 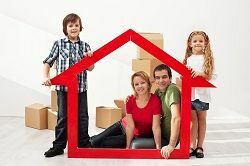 At Moving Service we have the expertise and professionalism to ensure that all your needs have been met. Being a professional removals company in SE11 area, we pride ourselves on delivering quality services to our clients time after time, so we can guarantee that you won’t be disappointed. Our broad range of services includes the use of our transport vehicles, packaging materials and moving services in Elephant and Castle and our safe and secure storage units amongst others. So, if you are downsizing or compromising on space in order to be living in your desired location, our storage units can provide you with an easy and affordable solution. Instead of moving all of your items to your new address, why not put them into storage? You will have full access to your personal unit during our business hours and can arrange to have your items transported to your new house at an agreed time and date. So, call us now on 020 8746 4402, tell us your requirements and we will assist you along every step of the way. If you need a removal service in Elephant and Castle, they will send their man with a van with a plan! Love this company!